So what is 'The Green Label'? We know that crafters are always looking for new designs and techniques to work with and our main brand doesn't always offer us the opportunity to experiment or release as many titles as we would like to. With The Card Hut Green Label we will be bringing a new range of crafting software - as a supplement to our existing range - with absolutely no compromises on quality, directly to you. 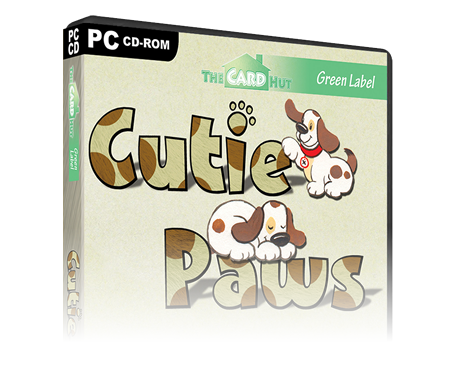 Cutie Paws will be the first of our new Green Label titles. Featuring cats, dogs, rabbits, bears and more in a range of cute styles and an assortment of poses, these's guaranteed to be something for everyone. Every item can be re-sized and re-coloured with text editing and import features included. Plus, you can view your design in 3D before you print.